Ok… let’s talk about Panic… Actually don’t know how to start this review, because I don’t know if I liked it or if I didn’t or if my mind is divided. So let’s start first with the things I liked…. First of all, I liked the characters, they were all so different but at the same time very interesting. But what I liked the most of them was the relationship between Heather and Bishop… The fact that they were denying what they felt for each other made me excited expecting for their first kiss… And when it finally happened I loved it! I also liked the game. Each challenge was really unexpected, specially the Russian Roulette and the Tiger cage… It made my heart beat faster because I really didn’t know what would happen. Even in the part where they had to cross the highway… I thought someone would be hit, but I’m glad that did not happen. And of course, I’m so happy that Heather won… I wasn’t sure who would win the pot… Her or Dodge. Something else I like was the fact that Bishop was a judge and that he was trying to protect Heather. I had my suspects about him being a judge since the beginning, so I was looking for clues or any indication that could prove that. So when he finally told Dodge the truth, I felt relief. That’s when I knew what he was trying to confess Heather after their kiss. Now, what I didn’t like… Overall I liked the story and the plot, but I though the book would revolve a little more around the game. So when inquired much in the lives of the characters I got bored. 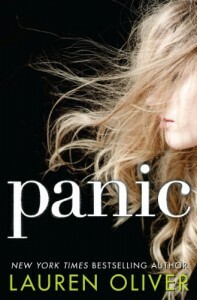 I wanted more challenges or anything related to them so that the book would have really been about Panic. 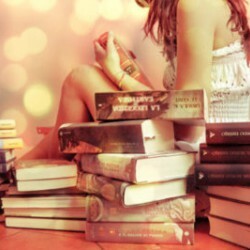 I think thats it… Now tell me, have you read Panic? What did you think about the book?